with later additions in 1836, Granville boasted 153 lots and a public square. which once stood to the east. 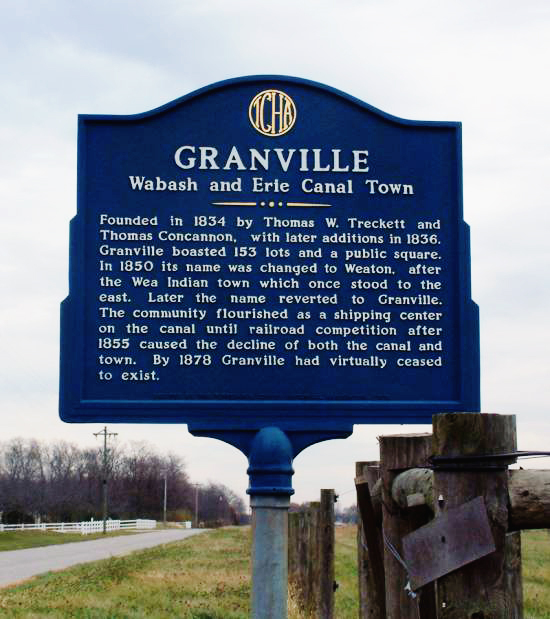 Later the name reverted to Granville. 1878 Granville had virtually ceased to exist. Erected by the Tippeanoe County Historical Association, 1975. Marker is located on the corner of county roads 75 S. and 700 W. in Wayne Township.